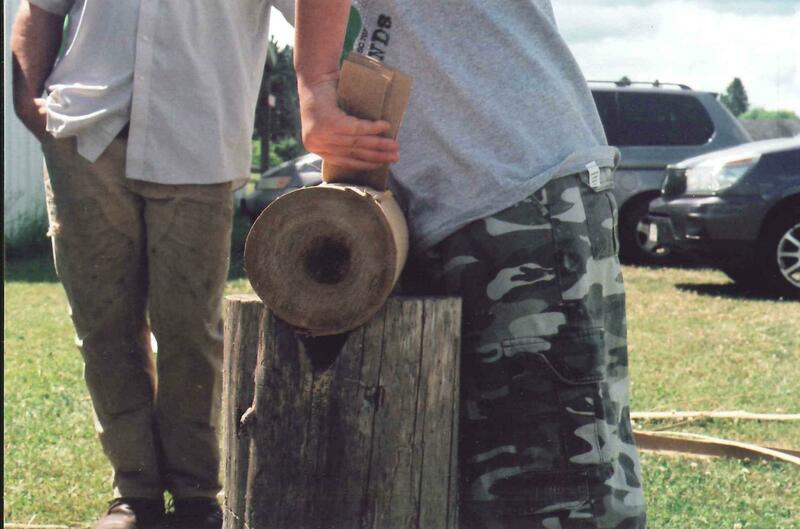 Eleven-year-old AJ pounds a black ash log, as Jarrod Stone Dahl steadies it. Pounding loosens the material, and AJ peels up a thin strip of wood. April Stone Dahl says, peeling and pounding take significant physical strength. 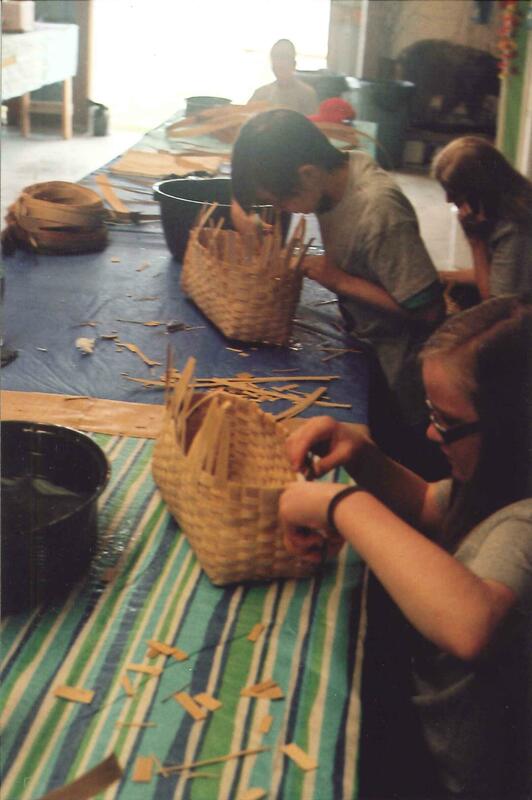 By day two of the workshop, kids are on the home stretch of their basket weaving. Adults in the 4H class also make baskets. April Stone Dahl is standing over the trunk of a black ash tree that’s lying in a cradle before us. She’s supervising eleven-year-old student AJ, who’s hard at work whacking the tree with a big mallet. Stone Dahl explains that pounding the tree releases its thin layers of growth, one by one. "Based on how the tree grew that year - your summer rings are either going to be paper thin, or nice and thick," she said. "If they're nice and thick, we'll further split them down." These strips of the tree will be coiled, soaked, and used to weave a black ash basket. April Stone Dahl and her husband Jarrod traveled two and a half hours to teach this class at a 4H program in Crandon, about 130 miles from Odanah, the Bad River reservation and the shores of Lake Superior where the couple lives. April has spent 15 years mastering and teaching this traditional Native American art form, and getting to know the unique properties of the black ash. But there’s one major downside to relying on this resource. It's highly susceptible to the emerald ash borer. “So that's kind of devastating for the ash tree," April said. "To know that there's only so many years of making baskets, before we may not be able to find any more ash out in the wild to be able to make these baskets." The ash borer is a beetle native to East Asia. But as many in Wisconsin already know too well, here without natural predators, it’s incredibly invasive. Once established, it kills over 99 percent of ash trees in a given area. In just six years it has already spread to 22 Wisconsin counties. Stone Dahl says it hasn’t made it to her backyard in northern Wisconsin, but it’s getting closer. On its own it spreads slowly, a few miles at a time. But it can easily move more quickly…if someone carries infested firewood to another part of the state. “You may have a thousand people looking to use firewood. It only takes one piece of infested ash, and that area has the ash borer," said Wisconsin DNR Forest Health Specialist Bill McNee. 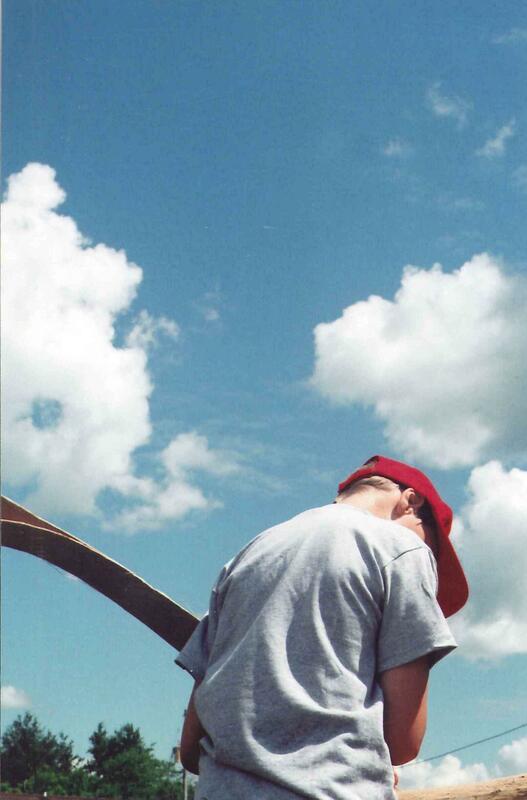 The DNR has been tightening the rules on moving firewood. It’s illegal to transport it out of a county that has the ash borer, and anyone camping in a state park has to buy firewood within a ten mile radius. McNee says it’s not perfect, but at least the tactic buys time. Back at the 4-H class, High school student Anike from the Forest County Potawatomi tribe, is learning that basketry is a slow art. Still, she’s more than halfway done with her basket, carefully woven with thin brown strips. And the long, sometimes tedious process of basket making, beginning at the beginning with a whole tree – that’s part of the point. “It’s amazing the resources we have in trees alone, and how valuable a tree is," said Richard Ackley, one of the organizers of the 4H class through Forest County University of Wisconsin Extension. Ackley says he wants to give the kids a hands-on experience that helps connect them to the natural world. Like many handmade arts, basket weaving with black ash faces other challenges in its preservation, even aside from the emerald ash borer. It’s a traditional art among tribes in many parts of North America, but on the Bad River Ojibwe reservation where April grew up, the practice had all but died out. 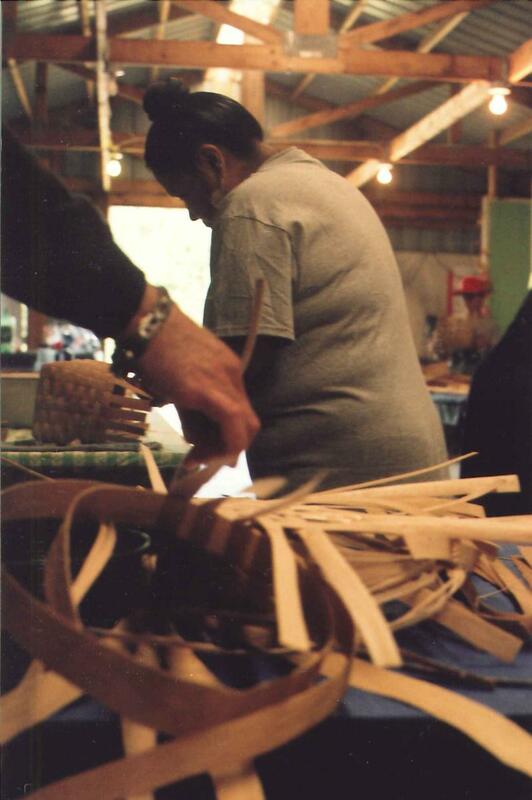 She says some elders remember pounding black ash as kids, and there are photographs that indicate this kind of basket weaving happen at Bad River. But April herself learned it from her husband, who learned it in a class at a folk school fifteen years ago. Now she’s the only person from her reservation who maintains mastery of the process, but she says she still feels connected to a bigger tradition. April says it’s discouraging to know that her life’s work could be undermined by an invasive beetle spread largely by forces beyond her control. But she does what she can to help educate others about the ash borer, and hopes there will be enough ash trees left in northern Wisconsin to make baskets for years to come. A new program in Forest County is kicking up dust at the racetrack. Forest County UW Extension is hoping to prevent juvenile delinquency by teaching kids to build remote control, or “RC," race cars. If you’ve never seen remote control car racing before…there’s a good chance you’re not prepared for how wild it is. At the RC Havok Raceway in Crandon, a group of kids are test driving remote control trucks. The miniature trucks leap off the starting line and start zooming around indoor dirt track. You can hear them crashing into each other and flipping over. 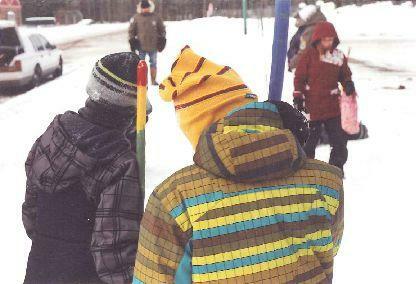 A group of middle school students gathered last month in Lac du Flambeau to learn outdoor winter skills. 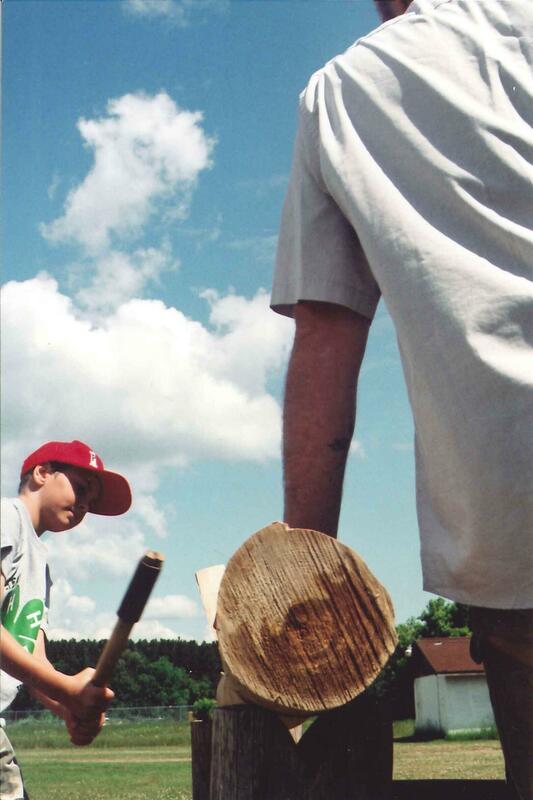 Great Lakes Indian Fish and Wildlife Commission organized the weekend camp. 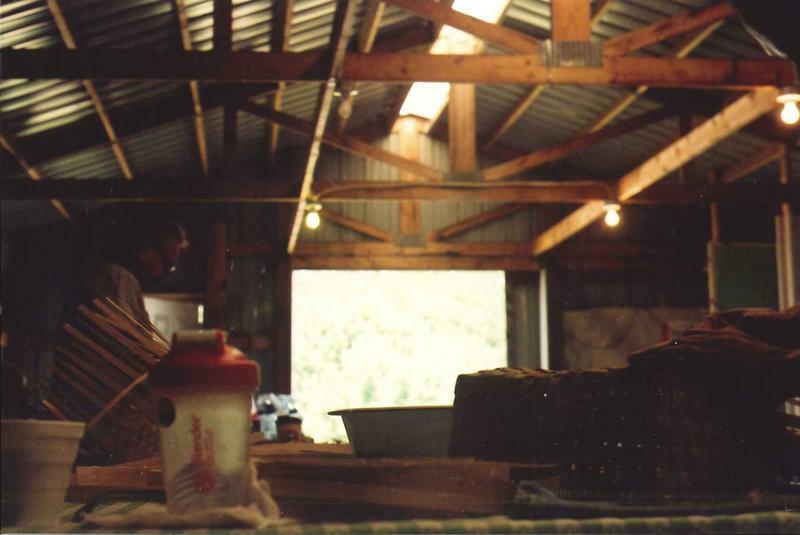 As WXPR’s Natalie Jablonski reports, it’s as much about cultural preservation as it is getting outdoors. At Deep Snow Camp, most of the activities are focused on survival skills like building a snow shelter or ice fishing with simple materials. But a lot of the sessions focus on another type of survival: the cultural kind.